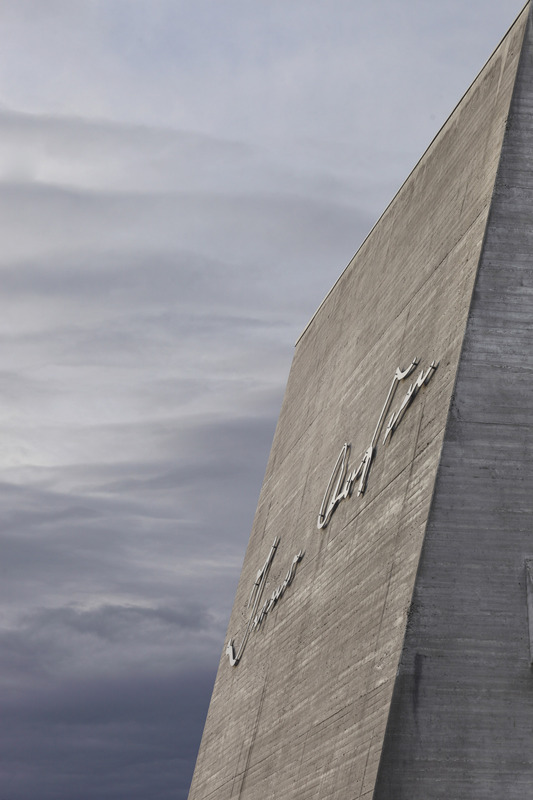 Sverre Fehn completed his striking building at the Ivar Aasen Centre in 2000, on the farm where Ivar Aasen was born. Housing exhibition spaces, offices, an auditorium and a restaurant, the building celebrates Aasen’s journeys through Norway in the 19th century, and his creation of the written Nynorsk language, based on living dialects. The building is a remarkable example of form following function: Fehn wrote that “the space takes the form of entering between the pages of a book”. Fehn employed his trademark materials throughout: beautifully crafted shuttered concrete, warm wood and glass.